In August 2016 the very first Pulsar IGBT Inverter was developed and installed at Tritech Ltd in Yeovil Somerset , (Formerly Yeovil precision Castings Ltd). 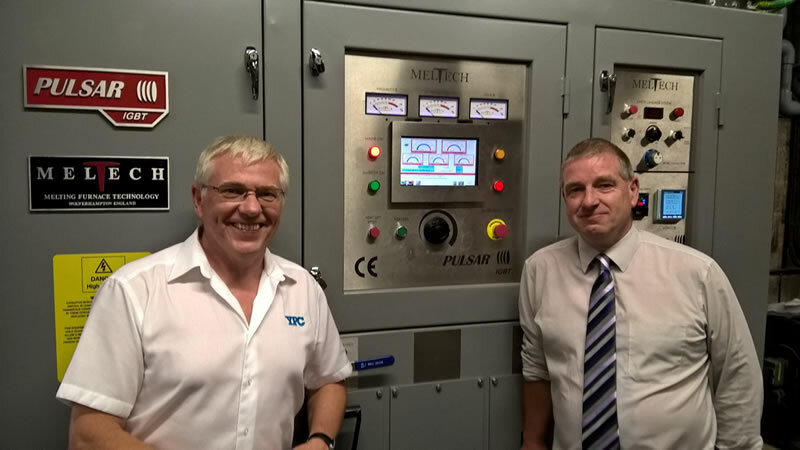 In 2015 Meltech embarked on a development program to introduce a new range of inverter system to add to its established Pulsar range , up until 2016 all new induction systems supplied by Meltech were driven by traditional SCR (Thyristor) technology which has proved over the years to be very reliable and efficient. With the introduction of high rated IGBT’s (Insulated Gate Bipolar Transistors) for frequency switching, it was known that some operational benefits could be achieved however the extent of operational efficiency could not be assessed until a machine had been productionized. IGBT’s are not a new technology and have been used in some industries with much acclaim so the application of these devices were well understood as having significant advantages over traditional SCR technology. 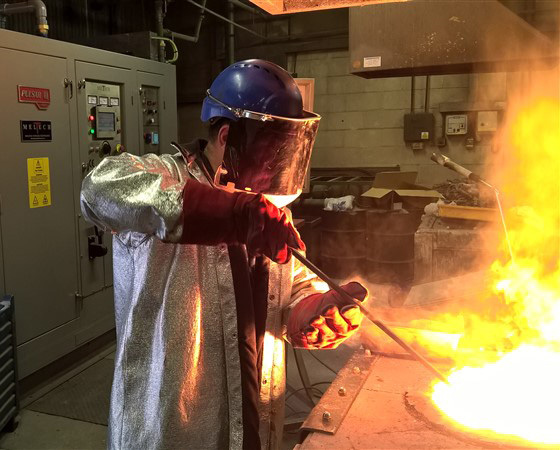 In August 2016 the very first Pulsar IGBT Inverter was developed and installed at Tritech Ltd in Yeovil Somerset , (Formerly Yeovil precision Castings Ltd) this new inverter was to replace an existing SCR driven inverter with the same power and frequency rating on two existing 300kg furnace bodies and cooling system, it was important that this like for like retrofit was selected in order to obtain a direct comparison of how the machines compare , shortly after commissioning it became evident that this machine out performed its predecessor considerably confirming that the machine achieved a melt rate of 300kg of Stainless steel in 25 minutes when compared with its predecessor’s 34 minutes , the kw consumption also reduced to 500kWh per tonne. The Pulsar IGBT Inverter also has a host of other features including intelligent fibre optic firing, digital control and a touch screen menu driven HMI display with fault memory system for logging performance and fault conditions which is retained over a virtually unlimited timescale. Data can also be recorded on memory stick and emailed or optionally streamed directly to our service department or by internet link. The Pulsar IGBT inverter is available from 75kW through to 750kW In frequencies of 200Hz to 10,000Hz , further developments include the introduction of a 400V output version for a Vacuum furnace application which is due to be commissioned in the summer of 2017. Left hand – Steve Docherty is Neterson and Tritech Group operations Director.